Let me introduce you to what could possibly be the coolest piece of wearable costume clothing you could add to your wardrobe. 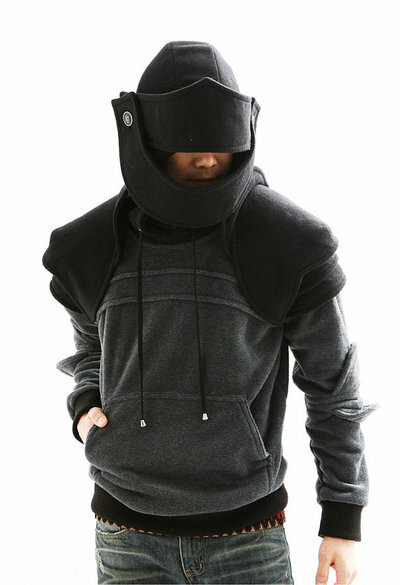 This unique street wear hoodie, handmade with soft fabric (poly, polar polis) represents a knight's armour, complete with retractable helmet. 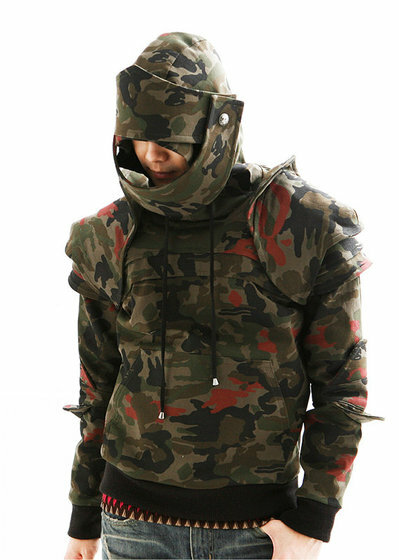 The armored knight hoodie is designed and made by Catherine Lim, a designer based in Seoul, South Korea, sold via her shop on etsy. Catherine opened her online store in June 2012, and at the time of writing this article has sold 1,330 hoodies to customers all over the world. 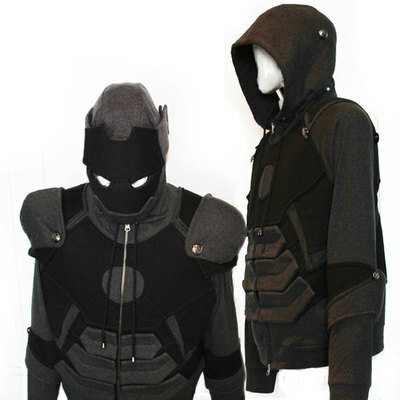 Although I have to say, the original "Duncan Armored Knight Hoodie" design, in my opinion, stands out as the best, being the more street-wearable design of all. 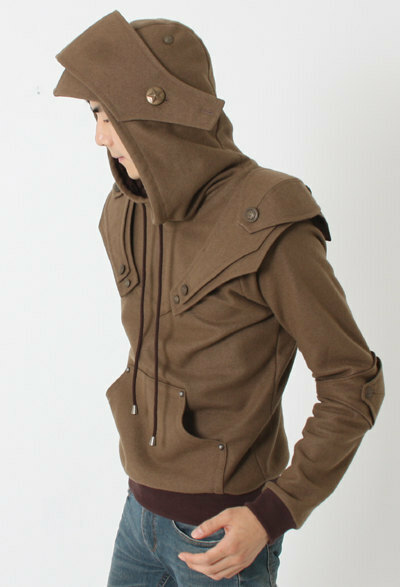 As well as light grey colour (seen above), the knight hoodie can be made in dark grey, khaki, black, two colour, two tone, leopard or camo. Wearing something like this would certainly cause a stir on the street; you would certainly stand out from the crowd wearing one. 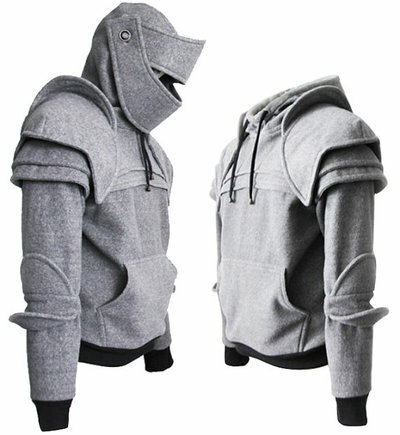 For those seeking a unique fashion statement piece to add to their clothing collection, the Armored Knight Hoodie could be the perfect addition. 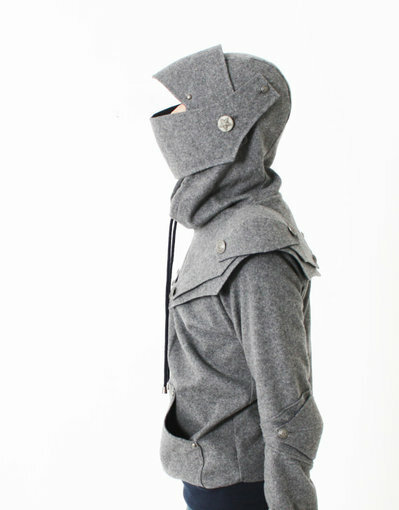 If you'd like to buy a handmade Armored Knight Hoodie, check out Caroline Lim's etsy shop here.